We have a diverse range of Personal Trainers available at BALC for one-on-one or small group training sessions. To find out more about our Personal Trainers, please read through their bios below. To enquire about availability and session pricing, you can contact us online here or speak to a member of our Customer Service Team in Centre. Our Health Club is staffed during opening hours, with a member of the team available to answer any questions you might have during your workout. Dean grew up in Ireland and has been in Ballarat for 5 years. 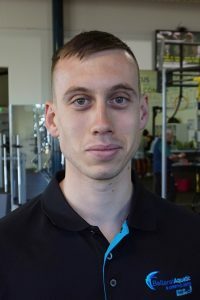 Currently studying a Bachelor of Exercise Sport Science, Dean is qualified in multiple areas of sport exercise including Strength & Conditioning, Middle & Long Distance Running, Weightlifting, Throwing and AFL. He is currently the Strength and Conditioning coach at the North Ballarat City Football Club and Greater Western Victoria Rebels U/16 team. Dean is passionate about helping people become the best they can be in health, fitness and sport. To find out more about Personal Training sessions with Dean, please get in contact with us. 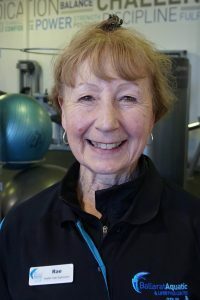 Rae has been working at BALC for over 10 years and is well known around the Centre and Health Club. With a Certificate III & IV in Fitness (Personal Training), 2019 will mark her 30th year in the Fitness Industry! Her specialised areas of interest include older adults, pre and post-natal exercise, core strength and balance. Rae’s own fitness interests including running, strength training and attending Group Fitness classes (which she says is great for motivation and being surrounded by others striving for their own goals). For more details about Personal Training sessions with Rae, please get in contact with us. 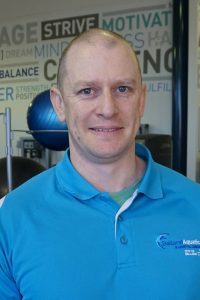 Billy has been at BALC for 4 years after completing a Certificate III & IV in Fitness. 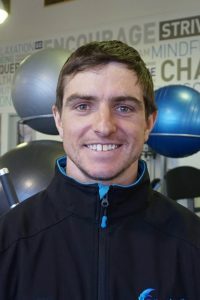 Billy’s areas of expertise include human movement, strength and conditioning, mobility and pilates. His personal fitness interests include all types of physical training from cycle classes to gymnastics and strength training. Billy grew up playing soccer, then moved across to boxing and is now enjoying mixed martial arts and Brazilian Jiu-Jitsu. Outside of his work in the Health Club, Billy enjoys fishing and camping. To find out more about Personal Training sessions with Billy, please get in contact with us. Sam has a Certificate III in Fitness and a Certificate IV in Personal Training among a range of other fitness qualifications. Sam’s areas of expertise include boxing, circuit training, women’s fitness, pre and post-natal training, older adults and mental wellbeing through exercise. 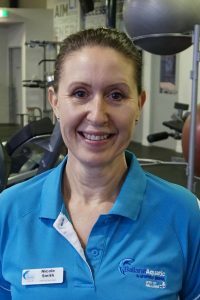 Sam has been a qualified PT since 2013 and was running her own PT business in Darwin before moving to Ballarat in 2015. She has 2 young children and loves to spend her spare time running, hanging out with family and going to the football. If you’d like to find out more about Personal Training sessions with Sam, please contact us. Sarah has been in the fitness industry for 7 years, after working as a registered nurse for many years. Not only is Sarah a PT here at BALC, she is also a Group Fitness instructor taking a number of classes on the timetable plus instructing some Fitcamp sessions. With a keen interest in combining fitness and nutrition, she believes in a wholefood diet and making food work for us not against us. Outside of BALC, Sarah enjoys spending time with her busy family, working in her garden, cooking, bush walking and travelling. Sarah is available to take one-on-one PT clients or small groups. To enquire about PT session with Sarah, please contact us. With a background in Dance, Georgie has been working in the fitness industry for 21 years. Her specialised areas of interest include cardio fitness, posture, weight loss, flexibility, mobility and core stability. Georgie is also a popular Group Fitness instructor, taking a number of classes at BALC on the timetable. Georgie is currently working as a Personal Trainer in Melbourne part time but is looking at taking on clients here at BALC. Her approach is to lay the correct foundation in the beginning through safe and comprehensive movements to enable strong and healthy movement moving forward. Please get in contact with us here if you’d like to find out more about training with Georgie. Chris has been at BALC for 14 years, working as a Personal Trainer and a group fitness instructor. 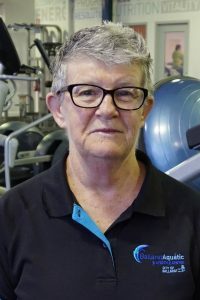 With a Certificate III and IV in Fitness, Chris’s specialised areas of interest and skills include working with older adults over 50 years, aquatic exercise (aerobic and hydrotherapy), complex exercise for strength and training and core strengthening for beginners and those returning to exercise. In her spare time, Chris enjoys walking and is in training for the 2019 Oxfam 100km walk and Camino pilgrimage. She enjoys social cycling, gardening, a good movie and catching up with friends. To find out more about training with Chris, please contact us. Lee decided to make a career change into the fitness industry in 2011 after originally being a tradesman. After completing a Certificate III & IV in Fitness, he began working at BALC in early 2012. Lee’s areas of interest include strength training, nutrition, postural analysis and arthritis. Lee is passionate about helping others achieve their goals, whatever they may be. You may also recognise Lee’s face as a member of our Customer Service Team. Outside of work, Lee enjoys training, the great outdoors and going on adventures with his young family. 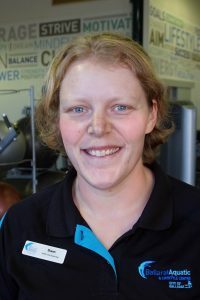 Tara has been working at BALC since 2014 and is qualified in Fitness (Personal Training) and Sport and Recreation. She’s also a qualified Level 2 Intermediate Recreational Running Coach and has a passion for long distance running having completed several marathons and most recently a 50km Ultra Trail marathon. Tara has also represented Australia at an elite level for 7 years, living and training in Denmark. Having competed in tournaments all around the world, Tara understands the training and dedication required to reach an elite level. Her specialised areas of interest include strength and conditioning, elite athletes, running training plans, HIIT training and weight management. 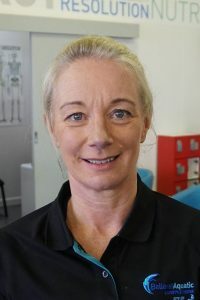 Nicole is our Health and Wellness Team Leader here at BALC, having worked in the Centre for 8 years in a variety of different roles including group training and personal training. 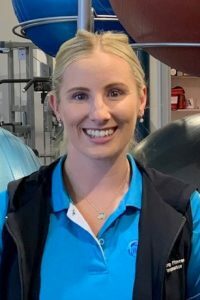 With a Certificate IV in Fitness and Personal Training, Nicole is passionate about helping our members and patrons – she believes health, wellbeing and fitness should be a priority in our community as it lays the foundation for everything else. Nicole’s specialized areas of interest include movement patterns, strength and conditioning, pilates, rehabilitation, older adults and nutrition. Nicole has always enjoyed an active lifestyle, having a background in dance and martial arts before progressing into powerlifting competitively. Away from the Health Club, Nicole enjoys strength training, yoga and pilates, taking her beautiful Staffy for walks and the odd Fit45 class.